“Human Cities_Challenging the City Scale/Milano”, at BASE Milano, exhibited the ongoing results of the Human Cities research. Among the 11 European partners, Politecnico di Milano was appointed as the first to put on place an exhibition and an event that will later travel through Europe as an itinerant circus. The exhibition will show how the partners are “challenging the city scale” through a continuous experience in different places and contexts. The first exhibition in Milan was focused on some experiential actions to let the people interact with it. The “State of the art” section is a way to know the research work- in – progress of all the 12 partner cities: Milano (Italy), St. Etienne (France), Brussels (Belgium), Graz (Austria), Belgrade (Serbia), Bilbao (Spain), Cieszyn (Poland), London (United Kingdom), Helsinki (Finland), Ljubljana (Slovenia), Tallin (Estonia) through local best practices. The “Masterclass” section is an overview on education and training sessions at the Politecnico di Milano: action classes to challenge the urban dimension developing specific scenarios to enhance the quality of life in contemporary public spaces. This Milan Masterclass is about design actions for the outdoor area of “Atir Ringhiera” theatre -known as “La Piana” – in southern Milan. The Masterclass, called “Temporary Urban Solutions” included more than 50 international postgraduate students and PhD candidates. They explored the opportunities to enhance the sense of belonging to “La Piana” square by the neighbourhood, attracting people with new activities designed with a multidisciplinary team of students and instructors; inside the exhibition, 12 design actions were put on linear path to go deep into the entire process. The “Experimentation lab” section, aimed to show the Set-up of interdisciplinary field team (manager, designers, researchers, students) together with local entities, questioning new temporary typologies of public space where creative people can challenging the city scale. During the exhibition, an on-going “Experimentation Lab” let people interact and activate the space. People interacted with some textile materials by leaving a trace on big metal grids panels that will become the scenography and the frame of the event that will take place at La Piana on the following June 2nd: the day in which ATIR Ringhiera Theatre celebrates the memory of Fabio Chiesa, ATIR’s actor and partner. 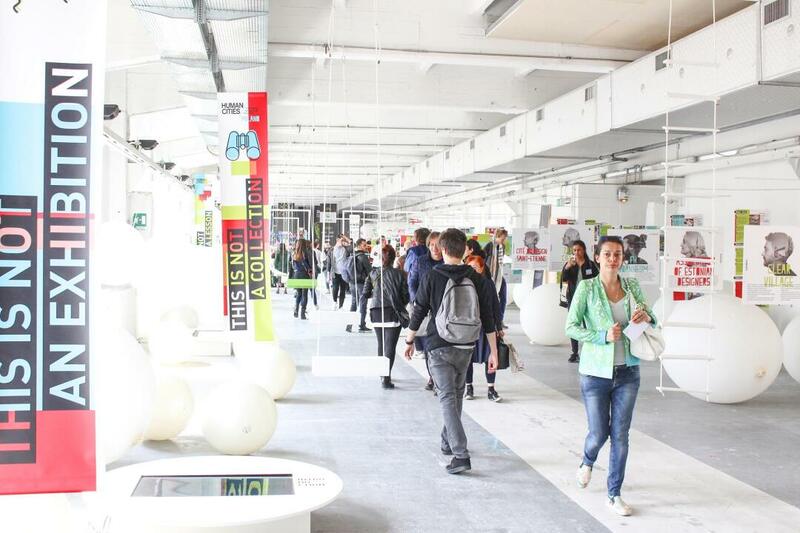 During the Milan Design week,(13-15 April) the annual meeting of Human Cities/Challenging the City Scale research project took place with more than 30 representatives of the 12 partners. The meeting has been an opportunity to share how the European cities involved in the programme, are activating public spaces, to schedule the future steps, to promote the activities of the network through a seminar, to deep dive into the Experiment lab at “La Piana” and to visit key public places in Milan.